A BRITISH mother living in Paphos, another victim of the Swiss franc mortgage mis-selling scandal, has issued a desperate plea for help after being swamped by a mountain of debt caused by a property purchase under the scheme. 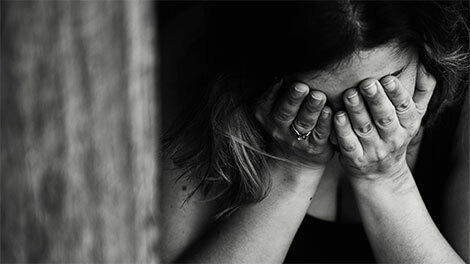 Laura (not her real name) contacted the Sunday Mail as she felt she has nowhere else to turn and her current situation has left her feeling hopeless. “I feel like I’m drowning and I shake uncontrollably when I think of the mess we are in,” she said. Thousands of British buyers were caught up in the Swiss franc mortgage fallout and in January 2017, another victim, Philip Davies, last year tragically took his own life, just hours after receiving notification that Alpha Bank had re-opened legal proceedings in Cyprus for a Swiss franc loan he had taken out and could not keep up with. Many foreign buyers, including Davies and his wife, and ‘Laura’, couldn’t have imagined their dream to own a property in Cyprus could result in the nightmare it did. “People like me were sold a dream home in a beautiful country with supposed manageable monthly mortgage instalments. My repayments nearly quadrupled,” Laura said. Laura bought a property in Cyprus with her now ex-partner from a large developer where she worked at the time. They guided the couple to use Alpha Bank and take out a Swiss franc interest-only mortgage for five years, she said. The developer also helped the couple by standing as a guarantor. The couple had a child but later separated, the Swiss franc collapsed and the pair’s repayments shot up from €400 to €1,400 euros a month. Laura’s employers made her redundant leaving her, now a single mum, unemployed with a huge mortgage she could no longer pay, she said. Wanting to tackle matters head-on, she met with the bank and explained her situation. It was agreed that she would pay only the interest on the mortgage until she was back on her feet. This amounted to €800 a month. “To implement this, the guarantors needed to sign, as well as my ex as his name was on the mortgage. They could continue this agreement yearly only if the other parties continued to sign the mortgage re-structure,” she said. Communication between the couple soon broke down and her ex refused to sign any further mortgage restructurings. Instead, he informed Laura that he wanted nothing more to do with the property as he had simply “moved on”. The debts began to build up, and Laura, as a single mother, was not earning enough to cover the huge cost of the property, which included common expenses. She had remained living in the house with her child, she said. Subsequently, Alpha Bank threatened legal action and Laura’s ex requested that she and his child move out as he was going to sell the property – there were no title deeds available either – or rent it out. Laura moved out and rented a new place “and had a small period of happiness until we received a summons to court from the bank stating that the common expenses project committee were taking us to court,” she said. These two cases have been ongoing for around four years. The mum of three is currently living in a Paphos village with her new partner who is only earning a minimal monthly wage and along with her child-welfare payments, she said the amount is just not enough to cover what has to be paid out every month. A large chunk of money has to be set aside for lawyers’ fees and car payments, she said. Despite forking out thousands of euros in lawyers’ fees the case has still to get underway in court, as Alpha Bank have continued to change their lawyers and the developer has changed its name, she said. A separate court case concerning unpaid common expenses, which has accumulated into thousands of euros, is also proving both lengthy and costly, and although Laura has offered to try to clear the outstanding debt with monthly payments, she said this was rejected. “I was informed that the residents committee want to use me as an example and want payment in full which I really don’t have. I have no assets, I literally have the clothes on my back which they are welcome to if this will help see an end to all this misery,” she said. The expat is now painfully thin and said she had reached rock bottom. Laura is well respected in the community and as a volunteer is always helping others, and despite her predicament, continues to do so, however, she has kept her dire situation from most, ashamed of the tangle she is trapped in. Some weeks things are so bad that Laura is unable to buy kerosene for her heater so the family is at home wrapped up in layers of clothes. She manages to eke out what little food they have to last as long as possible and often foregoes eating properly herself in order to feed her children. Laura said she is suffering extreme levels of stress and her ‘heart stops’ every time the phone rings. She has even made enquiries about declaring bankruptcy but was informed it would cost around €3,000 euros and even then she might be refused. Laura is also currently struggling to clear an unpaid electricity bill, and the EAC has threatened to cut power unless the outstanding €200 bill is paid. If you would like to help Laura and her children, please contact the Cyprus Mail.